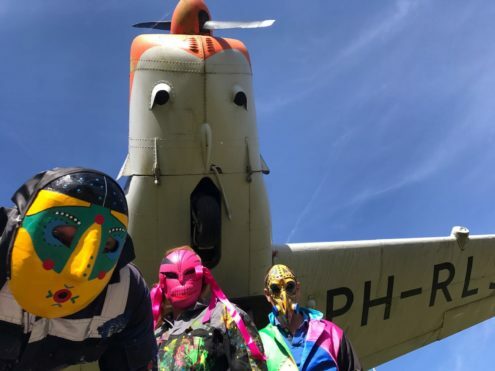 A new toyism artwork arrived in style at the KLM Flight Academy yesterday. Artist ‘Santa’ Dejo presented the artwork to director John Hayward. The artwork was made in honor of the new Diamond DA-42 airplanes which was recently taken into use at the academy. And to celebrate a good neighbourship between toyism and the academy.